Great list! It is a good reminder, too, for those who may have forgotten one or two of them. You made this post quite interesting by adding relevant images. I loved it. 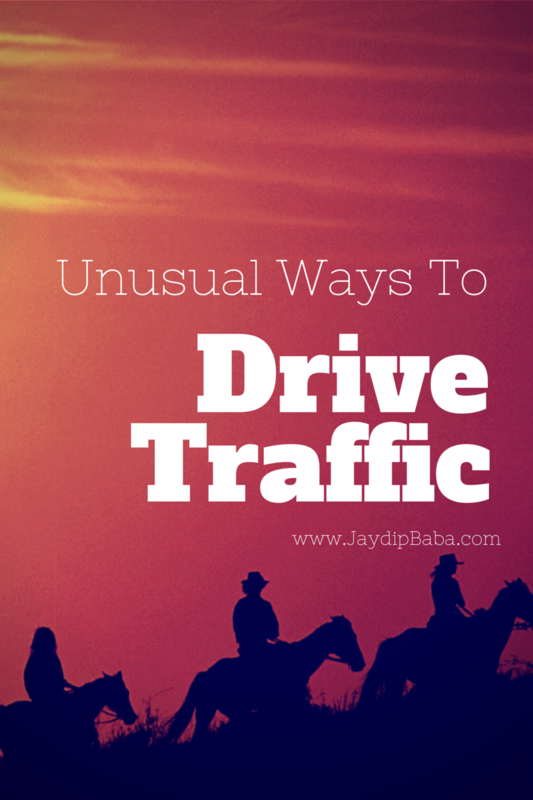 Traffic is the biggest headache to survive in this online battlefield, so every blogger must learn the methods to drive traffic on his blog first. Commenting is one of the easiest way to get good traffic, backlinks, relation with author and subscribers so doing it effectively can really make a big difference. I am using email signature in all my mails and getting good brand promotion by sending replies to many emails a day. Nice blog, according to me social media advertising is the best way to generate free traffic. So if anyone wants to generate relevant traffic, then use all social media channel in proper way and make your content shareable and attractive. GIFs are funny, relevant and ‘enough said’ like style 😉 I use Reddit and Quora as well to drive traffic. They have given me more traffic then Pinterest and Twitter.